"The Unseen Eye: A Life in Photographs and other Digressions"
Santa Fe University of Art and Design and photo-eye Gallery will co-host a performance by W.M. (Bill) Hunt on July 26 at 6pm in Tipton Hall at the Anne and John Marion Center for Photographic Arts. 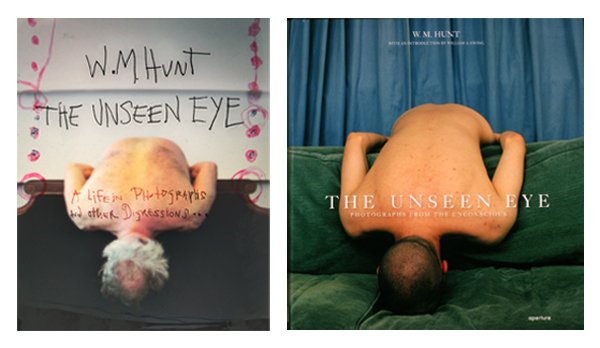 Hunt will recreate his unique performance piece suggested by the text for his book, The Unseen Eye: Photographs from the Unconscious (Aperture 2011). Hunt debuted "A Life in Photographs and other digressions" last October when the book was launched. Based in New York City, Hunt has been a collector since his early years as an actor. He is a frequent lecturer on collecting, a well-known dealer, a fundraiser, writer and an adjunct professor at the School of Visual Arts in New York. Hunt is known for his wit, his eye and his often larger than life personality.